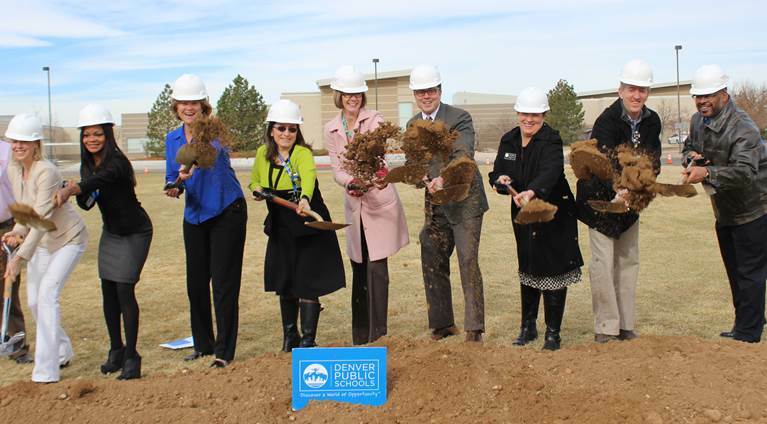 In November 2014, Denver Public Schools’ Board of Education passed the Equitable and Inclusive Contracting Policy. The policy instructed DPS to increase the utilization of minority and women-owned businesses (MWBEs) in the district’s bond construction program and other construction-related services. Over the past two years, DPS administration has led efforts to provide greater opportunities to diverse construction vendors, including the implementation of a goals program. The aspirational goal for all bond-funded construction-related projects is 24% participation of MWBE firms. DPS exceeded that goal within the first year of the program. As of August 2016, bond-funded construction-related projects had 31% utilization of MWBEs since January 2015. In support of this policy, our Business Diversity Outreach Program helps promote diversity in construction and related contracting for bond-funded capital improvement projects. The program strives to ensure all businesses, especially those identified as underutilized MWBEs, are afforded a fair and equitable opportunity to provide their construction and construction-related services to the school district. Read the board’s Equitable and Inclusive Contracting Policy. See the September 2016 update to the board on our MWBE efforts. Read Superintendent Tom Boasberg’s August letter to stakeholders. See the May 2016 board update on our MWBE work. Meet the Business Diversity Outreach Program team and learn more about how to do business with DPS by coming to an outreach event listed on our events calendar. Register to work with DPS or view our list of open bids. If you are interested in doing business with the district and have questions, you can also email us at businessdiversity@dpsk12.org or visit the Office of Business Diversity to learn more.